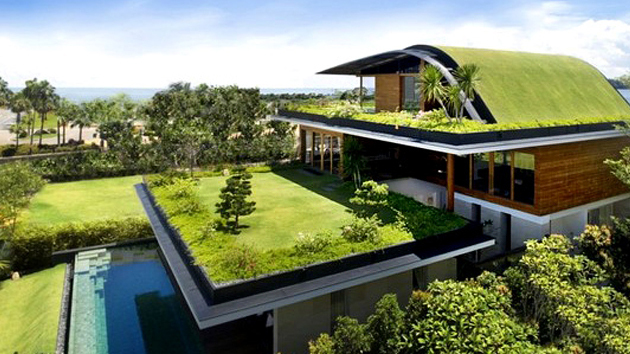 How to Make Your Home an Eco-Friendly Place? It should come as no shock that sustainable homes are on the rise. Domestic property alone makes up for a large percentage of the UK's carbon emissions - and with more and more people living conscious lifestyles, awareness around the green-factor of our homes (or lack of) is only set to boom. What's more, taking the time to make your house more energy-efficient will not only help the environment, but save you money too. Wood-burning stoves are one of the worst offenders for toxic gases, making up 10 per cent of the air pollution in London alone! If you do have one, only burn dry, unpainted, untreated wood - and don't burn rubbish or packaging as this can create harmful substances. If you're thinking of buying one, opt for a low-emissions model, and always have chimneys inspected and swept regularly by a HETAS-approved chimney sweep to prevent dangerous gases from escaping. When buying new wood furniture, look for certified sustainably harvested options. Buying local is also a smart choice, both because it means a smaller footprint and it supports local artisans. Good news for fans of the warm industrial look: Reclaimed wood is an earth-friendly option, because it directly reuses wood from previous construction. For the same reason, buying vintage pieces is preferable to purchasing new (especially if the piece is in good condition and won’t need to be doused with spray paint). Most importantly, pick furniture that’s well-made and durable. If you suspect that your inexpensive side table will wind up broken and abandoned on the sidewalk in less than a year, you may want to leave it at the store. You can use carpets for furnishing along with furniture. Carpets can be purchased from carpets land for Laminate Flooring in Manchester. Many things we throw away on a daily basis can be composted instead. Coffee grounds, fruit and vegetable peels, eggshells, even napkins and paper towels can be recycled to produce compost, which is great for gardens. Keeping food scraps out of landfills is good for the environment! It keeps them from building up methane gas (which is a major part of global warming) as they decompose in plastic trash bags, and it helps reduce the amount of waste in landfills. Even if you live in an urban area, you can keep a compost bin on a balcony or porch. Many online retailers sell ready-to-go compost kits. Harry Miles is currently working in carpet land (https://carpets.land/) which is UK's leading retailer of carpets and flooring. He has over 4 years' experience and his expertise includes sales, product and market development, product and marketing management, technical writing and editing.